I think it's safe to say that I've NEVER EVER EVER been this excited for a Taylor Swift record. 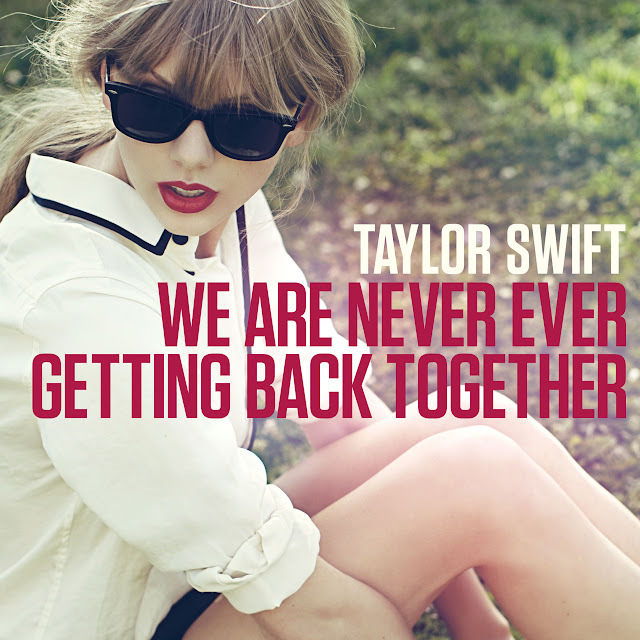 As soon as "We Are Never Ever Getting Back Together" appeared online I KNEW my love affair for country-pop music was about to experience a MAJOR surge. The single is the first to be taken from Swift's forthcoming fourth studio album, Red, due October 22nd via Big Machine/Mercury Records. Featuring production from Jeff Bhasker (Kanye West, Alicia Keys, Beyonce), Nathan Chapman (The Band Perry, Shania Twain), Dann Huff (Carrie Underwood, Faith Hill, Rascal Flatts), Max Martin (Britney Spears, Robyn, Kelly Clarkson) and Shellback (Britney Spears, P!nk, Maroon 5), Red looks to be Taylor Swift's most crossover friendly album to date and that VERY much excites me! To date Kelly Clarkson has released an astonishing ten Billboard Hot 100 Top 10 singles (including three #1s) and five Billboard 200 Top 5 albums, so it makes perfect sense that her label is choosing to release the first ever American Idol winner's FIRST ever Greatest Hits compilation album. On November 19th, Clarkson's longtime label RCA Records will release Greatest Hits - Chapter 1, with lead single "Catch My Breath" set to impact radio and digital retailers on October 16th. The compilation album will include a selection of hits from Clarkson's past five albums as well as three brand new tracks, including "Catch My Breath."